The Midnight Gang was such a relaxing and humorous read to me! I especially enjoyed the small amount of text, some of which was altered in order to underline a specific meaning, on each page along with the illustrations that in my opinion belongs in every childhood book. Tony Ross is the illustrator of the book and he has also illustrated the books about Horried Henry. The illustrations are perfect and made me laugh so much! They were so perfect and fitting, but I loved their facial expressions the most! This book contains everything I believe a good childhood book should have. It has an adventure aspect and an imagination which is perfectly suited for children the age the book is intended for. This is a story about loyalty, friendship and an important lesson about being a fellow human being. Most important of all, the book makes you laugh, no matter your age. To me as a grown-up, duh who am I trying to fool, a big child is more like it, the book was relaxing and the perfect escape from my bachelor thesis! My favourite character in the book is Porter. He reminds me of the janitor at my job, and he is just the loveliest man! The drawing doesn’t match my janitor though, but the personality was about the same, which I found very amusing to read. I enjoyed most of the characters in this book, mainly due to the way Walliams describes them. It made me think of Roald Dahl’s stories from when I was younger, and I always loved those characters. I think I felt most for Sally. She had the cruellest faith of all the children, but she was also the kindest and smartest. I won’t say any more here, you’ll have to read the book for yourself! 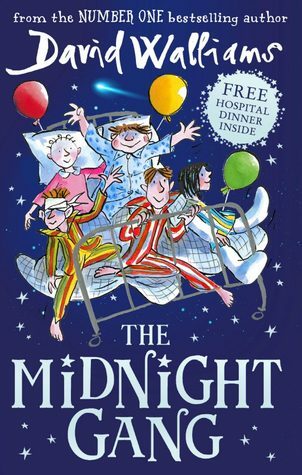 The Midnight Gang is a part of The World of David Walliams and he has written several children’s books. I checked them out online and I think I might want to read Gangsta Grandma, that sounds like a brilliant read! If you haven’t read this for yourself or your child, I strongly suggest you do. You’ll both love the book! I want to thank Aschehoug Publishing House for providing me with this copy in your goodie bag at the fall event I attended last fall!